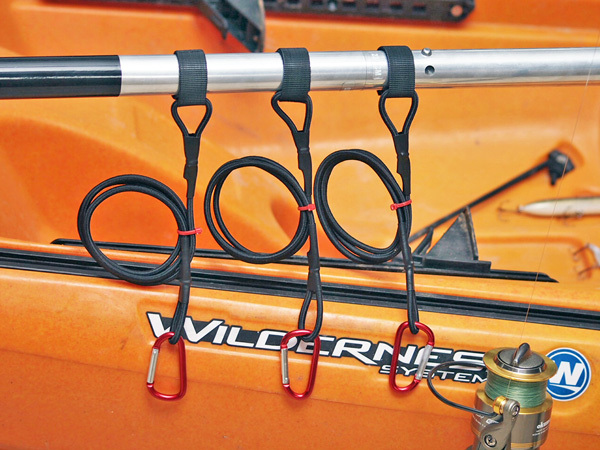 Hammerhead Kayak Supply's Kayak leashes have become standard safety items and are essential kayak gear. We are the manufacturer of the leashes. Currently our leashes are being used in every state in the country, the Gulf of Mexico, the Pacific and Atlantic Oceans and in many countries around the world. What is a kayak leash, you ask? Leashes make sure your important and valuable gear remains attached to your kayak while still allowing full use of each item. 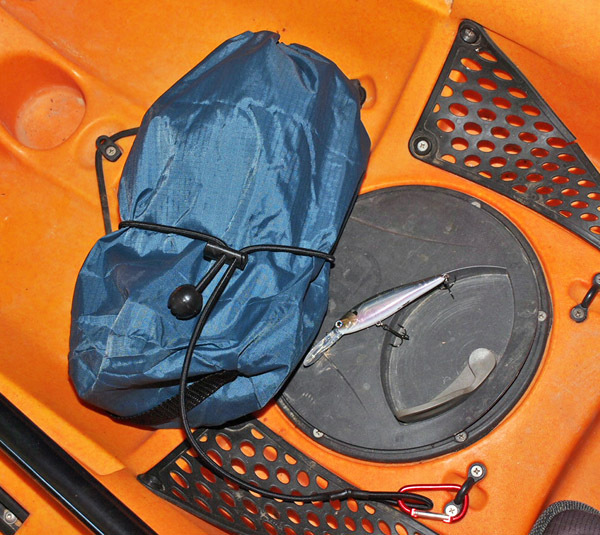 Should you flip your kayak you can lose your paddle, rods, tackle box, and other important gear. The actual value of leashes are truly realized the very moment you need them. For this reason, leashes have become essential items for kayak fishermen and kayak enthusiasts around the world. 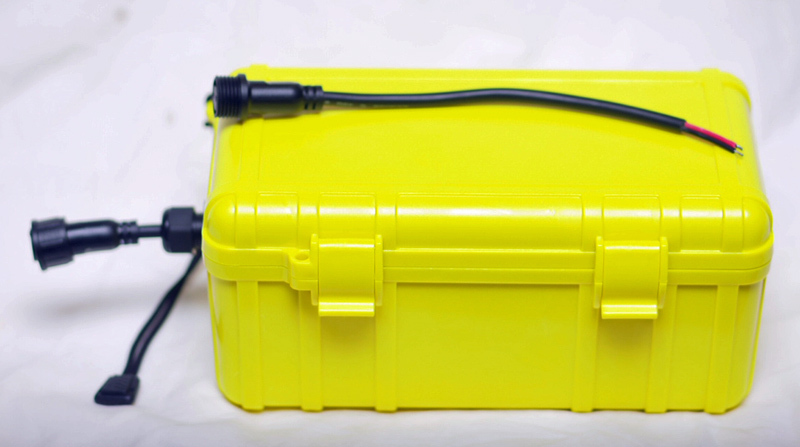 Take your Kayak fishing to the next level with our Kayak Battery Kit for powering your fish finder. Paddle leashes comes in 36 inch and 48 inch lengths: (Custom lengths upon request) Paddle leashes are designed to keep your paddle attached to your kayak should you flip your kayak or if your paddle slips into the water. The 36" Paddle Kayak Leash: 36" leashes is designed for both "sit inside" kayaks and "sit on top kayaks". For this length, the pad eyes should be close to the seat. 36" is more than enough length for the majority of people. The Wilderness Systems Tarpon Series is an example of a sit on top where the 36 inch is a perfect length. The 48" Leash is better suited for "stand-up and fish" kayaks. The reason is the pad eyes on these kayaks are positioned farther away from the seat to allow for standing. An example is the Wilderness Systems Ride Series. 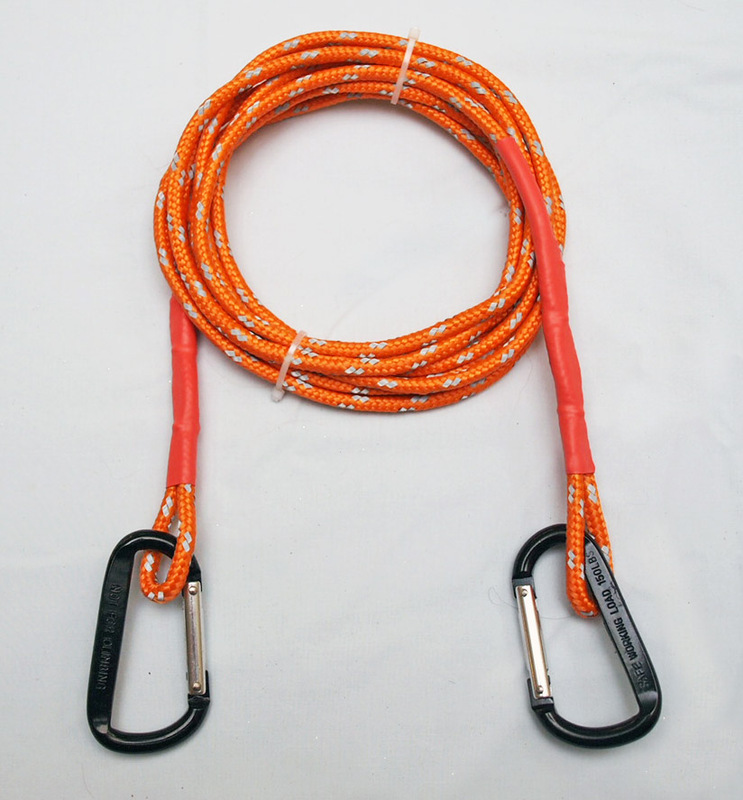 Kayak Leash Hardware: One end of the paddle leash has an aluminum alloy Carabiner for attaching to the kayak. The other end is equipped with an high quality outdoor velcro strip. Note: Depends on the individual, but keep in mind that paddle leashes are not always recommended for fast water, whitewater kayaking. However, some prefer a tether rope attached to the kayak so you don't get separated from your kayak. 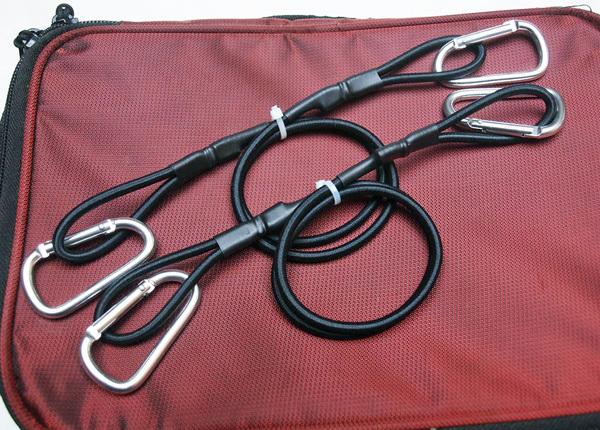 We make tether ropes at any length you desire. There are many reason why a person may lose a kayak paddle. Due to this concern some fisherman carry an extra paddle, but leashes can be purchased at a fraction of the cost. Every year kayakers have been rescued after losing a paddle or becoming separated from their kayaks. Flipping your kayak is a real possibility. This can happen if you are hit from the side by a large wake, a rouge wave or during a beach entry or exit. It is easy to get sideways in the surf. If you are on a river and are hit by an over-hainging low branch, it is extremely likely you are going over. When not paddling your paddle rests on your lap. If your paddle is on your lap and you drift into brush or against stumps, the paddle can slide off your lap into the water. The possibility increases if you are distracted such as when netting a fish. When working your fishing rod and a net together, you have no hands free to grab the paddle. To those new to kayaking, it is advisable to keep a paddle kayak leash attached at all times. This gives you time to gain experience without fear of accidentally losing your paddle. Poor swimmers, even when wearing a life vest, should they end up in the water tend to forget about the paddle and cling tightly to the kayak. Children should always use a paddle leash for safety and should be supervised by an adult. Kayak fishing rod leashes keep your rod attached to the kayak. These are excellent hand-made kayak leashes. 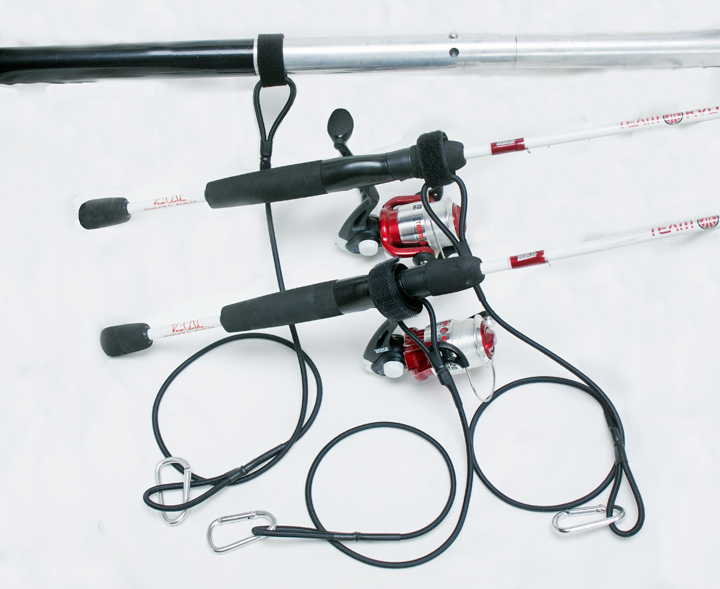 We sell leashes in bundles of two or more since most kayak fishermen carry more than one rod. I have hundreds of dollars invested in my fishing rods and it can be a tremendous heartache if they go over the side. Rod leashes prevent this from happening. Velcro on Rod Leashes are Permanently Attached: Unlike paddle leashes which fit loosely on the shock cord, the velcro on the rod leashes are permanently attached. This is because they are taken on and off more frequently and being permanently attached means you will never lose the velcro. Should you get a strike, you can rip off the velcro and toss it aside without concern. Each velcro strip on our fishing rod kayak leashes consists of super tough outdoor velcro and are completely water proof. The rod leashes can be attached in front of the reel for more security if you desire. 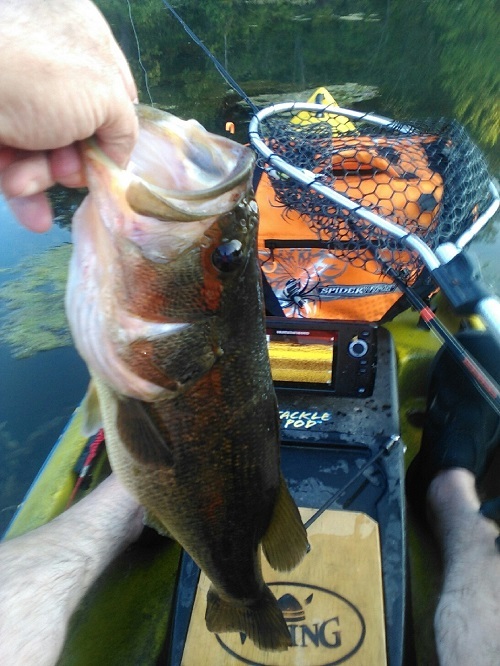 At 24 inches long, kayak gear leashes keep your gear close and safe yet are long enough so you can set the gear out of the way for standing or when landing a fish. They attach to your tackle box or other gear that you do not want to lose. You can literally have hundreds of dollars invested in lures and accessories that fit into your tackle bag or box. Simply hook one end to your pad eye on the floor of the kayak and the other end to a handle or "D" ring on the tackle bag. Should you tip the kayak or if your leg accidentally kicks the bag it is not going anywhere. It is an inexpensive solution that can save a lot of heartache. Our popular specialty leashes come in 36" and 48" lengths. 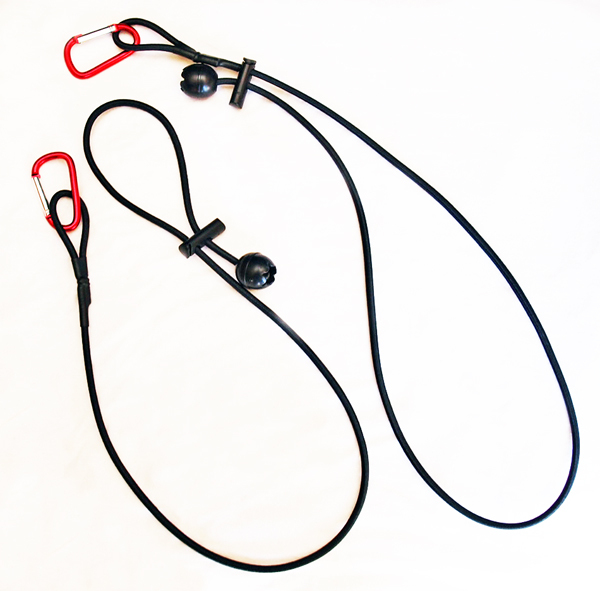 They are highly adjustable leashes that can be used to secure almost any item, whether it has a large or small diameter. These are our most versatile leashes. They can be adjusted to form one large circle for wrapping around sleeping bags, dry bags, camera bags, and more. Once placed around the item it can be locked in place using the push lock. They can be adjusted much smaller to fit around a single rod or multiple fishing rods, cooler handles, and countless other items. These are great for kayaks and canoes. The photo shows the leash attached to the handle using a simple "cow hitch loop" and the push lock pressed against the loop to keep it from slipping. 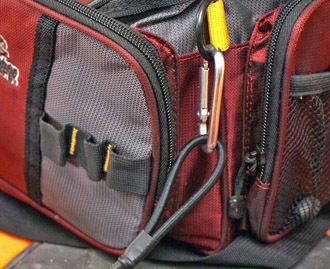 This is an added safety feature that can be used for expensive items such as camera bags, etc. 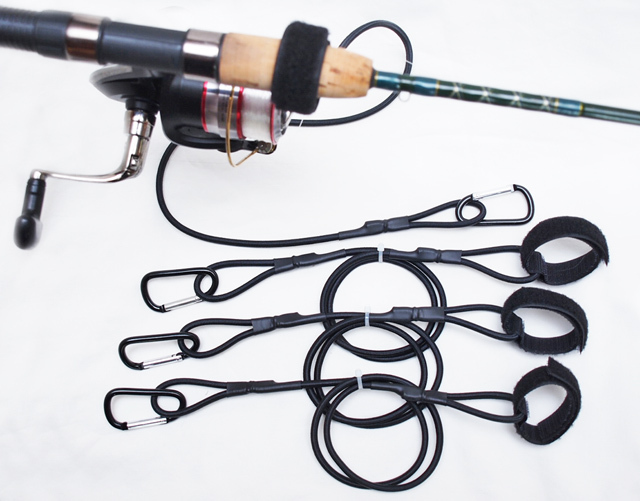 Even when attaching to small diameter items, the cord can be adjusted to take out the slack so the item is locked down against the kayak pad eye and cannot move. 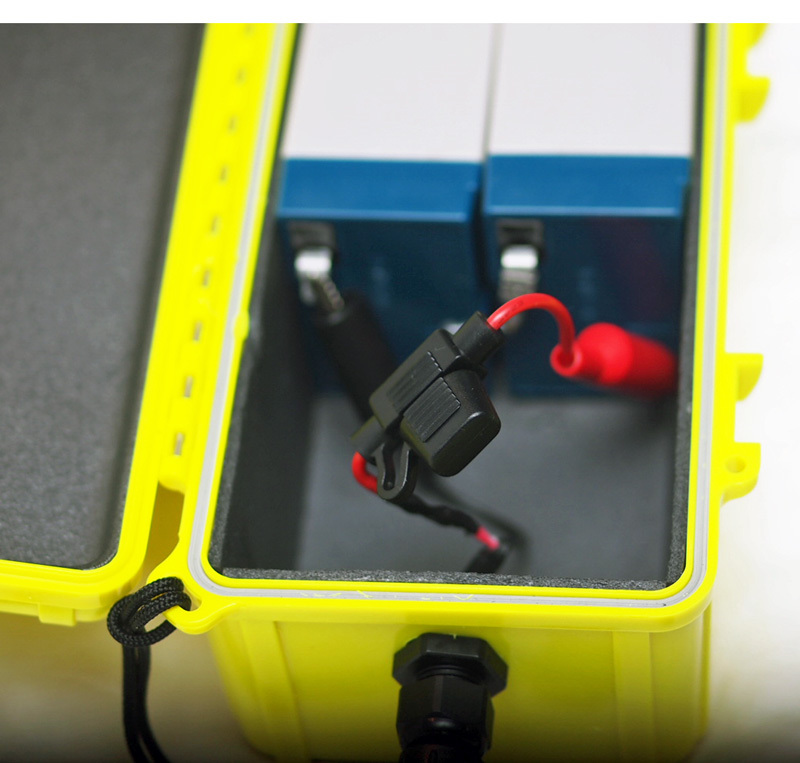 This is great for portable electronics that are not permanently attached to the kayak. There are many other uses for our specialty leashes. 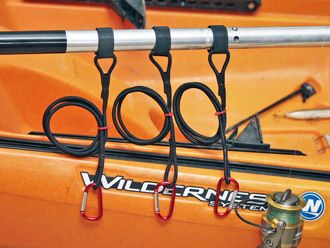 Kayak Tether ropes are used when wade fishing and keeps your kayak attached to you. No matter how far out you wade your kayak is always with you regardless of current or wind. This is common with fly fishermen, when river fishing, and coastal or bay fishing. 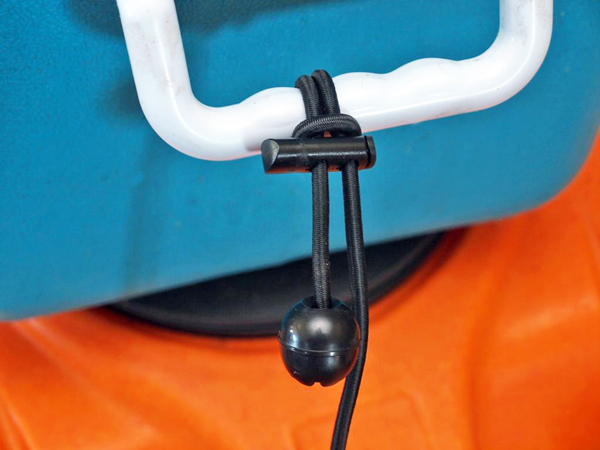 The tether attaches to your vest or belt loop via a carabiner and the other end to your kayak. 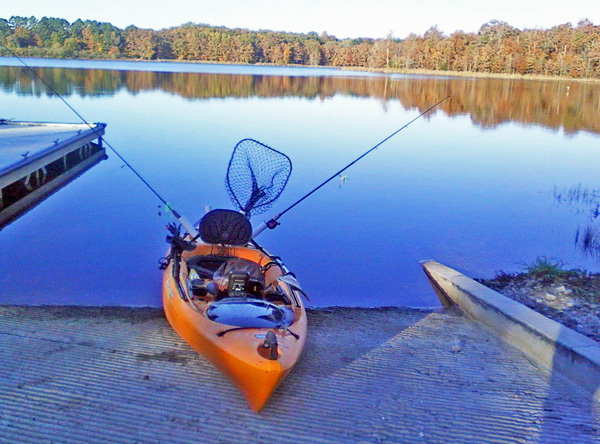 Your kayak holds your fishing accessories and is always near you should you need to change lures or bait. 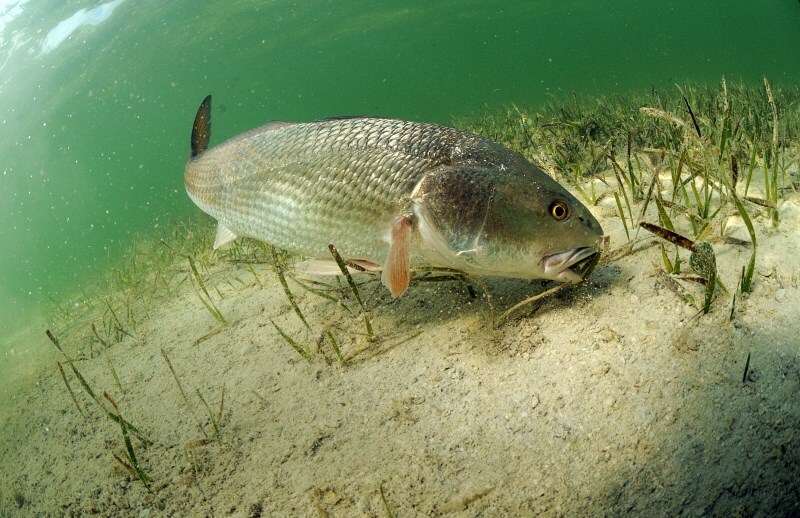 When ocean fishing, should you need to make a quick exit, your kayak is within feet from you. Our Kayak Tether Ropes now come in yellow with blue tracer. We will be switching exclusively to the yellow rope. It is a floating rope with a 1500 lb working load and can also be used as an emergency tow rope should someone need to be rescued.